This is the first in our how to series. In this video will be cleaning air conditioning coils . In this video I intend to demonstrate the best method I have found for cleaning air conditioning coils. 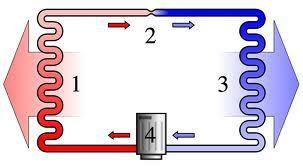 After 35 years in the a/c business I have have tried every possible method and most of them just do not work as well. Cleaning your coil is one of the most important diy projects you can take on yourself. It does not take that long and the results are worth every minute. Air conditioning systems do not produce cold air they remove the heat from the air there by cooling it or leaving it in a state of cold. 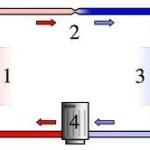 The heat transfer takes place in both the indoor coil and outdoor coil. The heat that was picked up by the indoor coil is expelled by the outdoor coil. If this coil is dirty it will compromise efficiency and if it is clogged it will stop the transfer all together. How often you should clean your coil depends on where you live and the location of the condensing unit. It is not good to let it go to long. We realize this video could have been better and we will post another in it’s place as we get better at doing this. Believe it or not this clip took a very long time to make and edit. Please turn off power to your unit before you open anything or start spraying water. In the video I talk about the coil cleaners that are available at supply houses, many of them say coil brightener or foaming degreaser, some even say non acid foaming cleaner (Yet they smell like acid to me). They all have one thing in common they do more harm then good. Please use a mild cleaner when ever possible. I use simple green. And I never use the aerosol can cleaners that are available. They are only good for an emergency. They contain harsh chemicals and I prefer not to breath them what ever they are. I used one of them a few years ago and was not impressed. Thanks and I hope this video helps.